BURLINGTON, Vt., Sept. 29 - In her inaugural speech as Governor of Vermont 12 years ago, Madeleine May Kunin proclaimed that her victory had changed state history. ''I am the first woman to serve as Governor of Vermont, the third Democrat since the Civil War and the second Governor of European birth,'' she said. It did not occur to her to mention that she was also the first Jew. But since her arrival as Ambassador last year in Switzerland, the country where she was born 64 years ago, Ms. Kunin has had to confront her Jewishness in new and unsettling ways. She had barely settled in Bern when diplomatic conflict broke out after the United States pressed the Swiss to acknowledge and publish information about bank accounts that had been dormant since World War II, some of them belonging to Jewish refugees. It was Ms. Kunin's fate to be the daughter of one of them. ''In America you could break through all that,'' she said in an interview in Bern in August. ''In Switzerland my Jewishness is more visible, shall we say. Unlike Secretary of State Madeleine K. Albright, whose Czech parents hid their Jewish roots from her, Ms. Kunin was raised in the faith. As a child she fled Switzerland with her mother and brother when the Nazis seemed poised to invade. In Ms. Kunin's years in Vermont, she attended a Conservative synagogue on the High Holy Days and sent her four children to Hebrew school. This week she was back in Burlington to celebrate Rosh ha-Shanah with her children. As Ambassador, Ms. Kunin spends 75 percent of her time these days dealing with the fallout from Switzerland's reluctant discovery that its neutral role was not always a heroic one. She listens to the Swiss, coaxing them to face the legacy of the Holocaust. She encourages them to identify money in Swiss banks belonging to victims of the Nazis and to pay compensation for their loss. She is not crucial in making American policy, senior Administration officials say, but rather in explaining America to the Swiss. Often, she keeps silent. Ever since the Swiss reacted with fury to a State Department report issued in May about their country's World War II performance, the Clinton Administration has refrained from criticizing the Swiss on the record. Ms. Kunin says bluntly she ''is not taking a position'' when the subject turns to a simple question of justice: Why not insist that the Swiss comply with the 51-year-old Washington accord requiring them to turn over much of the Nazi loot that was deposited in their banks? The consensus in the State Department is that in a country where letters to newspapers routinely accuse ''Jewish circles'' of terror, extortion and greed, even speculating about such an initiative would only provoke more outrage. Despite toned-down language, just about every article written about Ms. Kunin in Switzerland describes the rift and refers to her as Jewish. Some of her mail lectures her to be more loyal to her Swiss roots. And there is a suspicion among many Swiss, articulated obliquely, that she was given the ambassadorship less because of her knowledge of their country and her ability to speak Swiss German than because of her religion. The Swiss identification of her as Jewish deepened in July, when the Swiss Government published in newspapers around the world a list of about 1,800 names of holders of dormant bank accounts dating to World War II, a diplomatic move that Ms. Kunin had doggedly pursued. Sitting behind her desk scanning the list in The Financial Times, she spotted a familiar name: her mother's. ''May, Renee, New York,'' the entry read. Notorious for crying as Vermont's Governor, she did not cry this time. 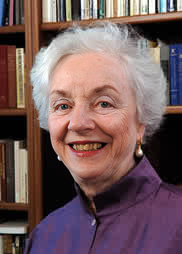 Suddenly Ms. Kunin moved from policy promoter to plaintiff. She and her brother, Edgar May, a Pulitzer Prize-winning journalist and former Vermont politician, have already filed their claim to what they believe is their late mother's small bank account. Now she veers from praising the Swiss for their efforts to revealing flashes of impatience. ''Every time somebody praises them, somebody else criticizes them,'' she said. And she is reluctant to fault the Swiss for scrambling to shorten a long-awaited new list of perhaps 100,000 dormant accunts belonging to Swiss residents and for delaying its release. Or to press the Swiss to schedule a nationwide referendum before 1999 on whether to create a $4.7 billion fund. Among political commentators in Switzerland, there is some sympathy for the delicate role she plays. ''That her mother was on the list has to make her position more difficult,'' said Pierre Hazan, a columnist for Le Nouveau Quotidien, who is Jewish. In the United States, others are not so sure about a woman who as Governor was given the nickname ''Straddlin' Madeleine'' for her record of compromising. ''She doesn't seem to be the type to resign or protest or shake the boat,'' said Amitai Etzioni, a sociologist who is publicly critical of the Swiss handling of the matter and the American response. Indeed, Ms. Kunin is deeply concerned that if the United States is not careful, all of the emphasis on money will burst into a new wave of anti-Semitism in a country in which only 18,000 of a population of seven million are Jewish. It is not only her Jewishness that Ms. Kunin is coming to terms with, but her Swissness as well. She recalls being stopped one day in Zurich by a woman who met Ms. Kunin's mother on the day before the family fled to America. On another day she is approached at a tea by a woman who said her own mother and Ms. Kunin's grandfather had danced together at a ball. On another, Ms. Kunin, who was discouraged by her mother from speaking Swiss German in America, suddenly remembers the Swiss German word for plum. The Ambassador has also had to confront anew anguishing personal events: her father's suicide by drowning in a lake near Zurich when she was a child; details about family members who stayed behind and died in Nazi camps; reminders of the difficult life of her mother, who took in sewing, baby-sat and tutored French to make ends meet in America. Certainly Ms. Kunin's life in Bern is very different from the one she left behind in Washington, where she had a direct involvement in policy-making as Deputy Secretary of Education in the first Clinton Administration and enjoyed close friendships. During that time, after more than three decades of marriage, she and her physician-professor husband, Arthur S. Kunin, divorced. The diamond solitaire and the diamond-and-pearl dinner rings she wears belonged to her mother. Now the miniskirted grandmother who was once the education and teen page editor for The Burlington Free Press, who was co-author of a four-season guidebook to Vermont, who entered the political stage as a young mother of four lobbying for a flashing light at a railroad crossing and who bonded with Bill Clinton at National Governors Association meetings, is on her own, surrounded by servants and bodyguards in the $10 million, four-acre American residence in the heart of Bern. These days, she insists that the feeling no longer exists. Almost. Gov. 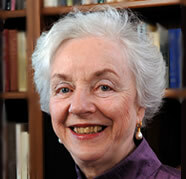 Madeleine Kunin — former Vermont governor and ambassador to Switzerland. She was born in Zurich, Switzerland, Kunin immigrated to the United States with her mother and brother because of the threat of the Holocaust in 1940. When President Clinton appointed Madeleine Kunin as Ambassador to Switzerland in 1996, he chose a woman with a very special relationship to the country. Born into a Jewish family in Zurich, she fled Switzerland as a child to escape the ominous threat of a Nazi invasion. In her post as Ambassador, Kunin was faced with defusing the political time bomb that has arisen from the indisputable evidence that Swiss banks and security houses were the final destinations of millions of dollars stolen by the Nazis from their Jewish victims. She illuminates the dark World War II period in Switzerland's history, examining how events that took place nearly half a century ago continue to play a crucial role today. She explained why it was necessary and ultimately beneficial for Switzerland to confront its past and outlines how the nation has taken steps to rectify its unjust actions, including the creation of a historic multi-billion dollar solidarity fund to aid Holocaust victims and their families.